Not quite an app store, but the HTC Hub is a good source of wallpapers and sound customizations - ringtones, alarms and notification sounds and entire sound sets (a set is a whole package that brings together the other three categories). The HTC One S has a built-in GPS receiver, which managed to get a lock in under a minute (with A-GPS switched off). If all you need is a rough idea of where you are (within 150 meters) you can use the Cell-ID and Wi-Fi network lock, which is very fast. 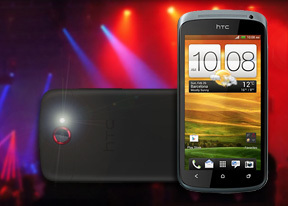 The HTC One S also comes with HTC Locations, an app developed in cooperation with TomTom (software provider) and Route66 (providing the maps). It will do voice-guided navigation too, but you'll need a license for that. The One S comes with a trial version worth 30 days of free worldwide navigation. A license for Western Europe will set you back a hefty €40 for a life-time license, the US is $30. Annual and monthly subscriptions are available too. You can also get traffic information and speed camera alerts (€10 for a year for Western Europe, for example). Extra voices are free.